WHERE DID MY GOVERNMENT GO! HOW YOUR GOVERNMENT IS SUPPOSED TO BE WORKING! 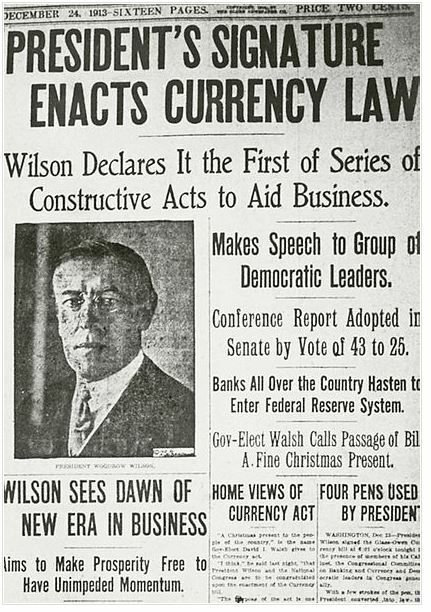 Have you ever hear of the Independent Treasury Act of 1920? No, you say.... Hmmmmmmm....? Our government is just another corporation - only a bit fancier than most! If you find any information on this website unbelievable, it is NOT because it isn't factual. It is because the corporate media has been engaged in perception management on behalf of the corrupt system which has been running our county for a very long time. This is to help you set up your own county jural land jurisdiction. The problem has been that we let them run wild and do whatever they wanted for so long, they began to think that they were the beneficial owners of the whole shebang. Some cretins (Clintons, Bushes) made deals and deceived other countries about their status and their ownership interests---- made agreements to sell off assets that actually belong to us, etc.--- in our names while pretending to represent us. So now under Trump's guidance, they are reshuffling again and dusting off their laurels and the old names and their red-white-blue bunting and they are making some really needful changes in the way their corporations have been operating and that is all to the good. Long overdue. A big relief. Unfortunately, some other countries who have also been bamboozled and swindled by earlier administrations going all the way back to the Civil War are angry, cheated, and upset. And I don't blame them. Amends have to be made, and who is going to make them? Not us--- we have been the victims and been bamboozled ourselves. Not the other countries--- they shouldn't have to take losses because of criminals misrepresenting themselves as our agents and representatives. We have worked out a means of gradually erasing all world debt. It may take ten years, but we can do it without hurting anyone. At the same time, we can introduce a new "mixed" global economy based on actual asset-backed currencies and asset-backed credit securities. And people all over the world can enjoy a higher standard of living while we are doing it. It is in that arena that I am active--- letting other governments know what has happened and where the actual American states and people stand, and that is, no, we aren't letting Secondary Creditors come in here and claim our assets as "abandoned property" and no, we aren't assuming the odious debts that these animals have racked up and tried to foist off on us, either--- but we do have sympathy with other victims and we have ways and means to end the fraud and balance the books in a way that benefits everyone. So let's make nice and do what has to be done in justice for all.